In addition to writing and editing, one of my other interests is human behavior and personality types. I’m fascinated by the way we’re each uniquely wired, and what it takes for us all to work and play nicely together. For a number of years, I’ve worked with a personality assessment called The Birkman Method™. This particular assessment stands out among others, such as the Myers-Briggs Type Indicator, because Birkman measures more aspects of an individual’s personality than other assessments. One of those aspects is Stress Behavior, a concept that can be quite useful for fiction writers. Stress Behavior, according to The Birkman Method™, is the behavior we exhibit when our needs aren’t met. That seems logical, right? When all is right with the world -- the bills are paid, the laundry’s done, the children are behaving, and we’re exceeding our word count quota – our behaviors are usually pretty positive and we’re a joy to be around. Yet when all is not right with the world, well, it’s not a pretty sight, is it? The Birkman assessment takes that concept and breaks it down by the four primary personality types, with each type possessing its own set of positive behaviors, basic needs, and stress behavior. An understanding of the four types and some common stress behaviors can help us add a bit more dimension, or complexity, to our fictional characters. After all, we do want our characters to be stressed, right? Stress creates conflict, which is critical to creating great fiction. The following is a crash course in the four basic personality types, and some common stress behaviors that are likely to pop up in each when all is not right with his or her world. The Doer Personality. This is the classic Type A personality. He’s quick to make decisions, likes to be in charge, and lives to see results. This is the Ready-Fire-Aim guy. He’s most comfortable with people who think and act like him, and he tends to have little patience with creative types who prefer to explore options and think before acting. He prefers to deal with people in a frank, direct and straightforward manner with a minimal amount of emotion and sentimentality. The Doer’s Stress Behavior. When his needs aren’t met – say he’s stuck working with a bunch of free spirits ­­-- he will tend to become insensitive, bossy, dogmatic, impulsive, edgy, and impatient. He’ll be overly factual and abrupt, and will tend to have difficulty responding to the personal needs of others. The Influencer Personality. This is your killer saleswoman. She loves being around people and can work a room like nobody’s business. The Influencer likes novelty, change, a minimal amount of structure, and the freedom to do her own thing. She tends to get along well with most people, but doesn’t care for people who are overly insistent on rules and procedures. The Influencer’s Stress Behavior. When the Influencer is stressed – say her personal freedom is limited and she’s stuck following rigid rules – she’ll tend to become defensive, argumentative, resistant to rules, easily side-tracked, and may be overly concerned with saving face. The Rules and Regs Personality. This is your class process person. To him, Heaven – not the devil – is in the details. He loves working with rules, definitions, processes, and systematic procedures. He’s not much of a people person and is typically content working quietly by himself. He’s orderly, consistent and cautious, and likes all the lines clearly drawn. He wants to know what’s expected of him, and what he can expect of others (preferably that they’re following the rules). The Rules and Regs’s Stress Behavior. When order is lost or abandoned, the rules guy will be stressed. In reaction, his fear of the unexpected will cause him to become over-controlling, too factual, opinionated, and resistant to change. Personal interactions with others will be even more challenging than usual. The Thinker Personality. She’s the best idea person around – creative, innovative, and almost always able to see things from a new angle (a good quality in a sleuth). She’s insightful and typically easy-going. She longs for freedom from social demands, values strong personal relationships, and needs plenty of time to make decisions. The Thinker’s Stress Behavior. If the Thinker’s world gets too loud or busy, she’s easily overwhelmed. Extended social demands, pressure to make quick decisions, heavy doses of criticism, and bossy people will all cause the Thinker to become stressed. When that happens, she’ll become oversensitive, easily hurt, idealistic, withdrawn, and even more hesitant to make decisions. She’ll also tend to second-guess almost everything she does. As writers, of course we want to create fictional characters as complex and unique as real people – a formidable challenge. Borrowing traits from the living and breathing can often give us a jump-start on creating the characters that will bring our stories to life. Are there any interesting stress behaviors you would add to this list? What are some characteristics you’ve given to your characters to increase the conflict in your stories? 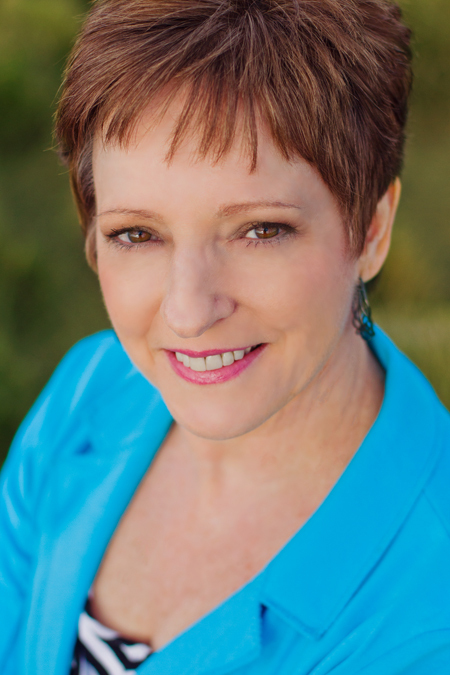 Diane Krause is a freelance editor, writer, and author of 25 Ways to Create Classic Characters Readers Will Love. You can connect with Diane through her website at www.thedianekrause.com, or on Twitter @DianeKrause2. 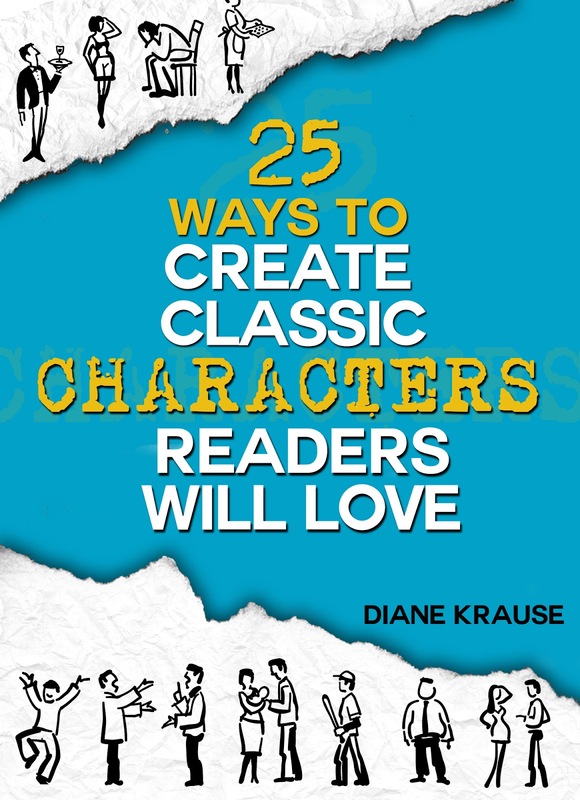 25 Ways to Create Classic Characters Readers Will Love is a short book designed to inspire writers and provide a jump-start on creating believable fictional characters. Available on Amazon.